I have been given an estimated bill of Eleven lakhs off which five lakhs will be covered by my insurance with 15% co-payment. 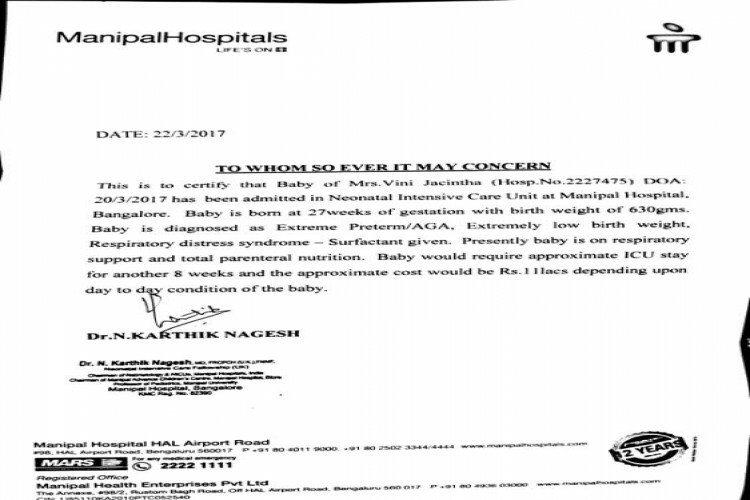 I kindly request to help me pay the remaining amount of six lakhs for my 17 days old daughter’s medical expenses. Your share could be as good as a donation for Arun Stanislaus! Not everyone can afford to take care of their loved ones. Arun Stanislaus's life can only be saved by donations made by kind people like you.